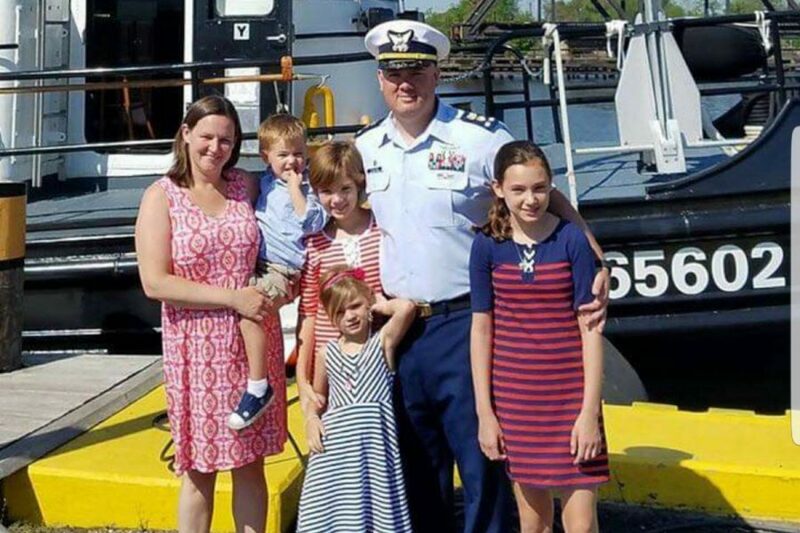 In light of the untimely death of Mahopac native and Chief Warrant Officer Michael Kozloski, a fundraiser has been set up to help his family through a most difficult time. A gofundme campaign has raised more than $38,000 so far to go toward Kozloski’s family, including his wife Brie, and four young children. Kozloski, of the Coast Guard, died in a crane accident on Jan. 31 after suffering fatal injuries on his base in Homer, Alaska. Kozloski, who was with the Coast Guard for 17 years, was a 2001 Mahopac High School graduate. In an email to The Putnam Examiner, Campbell Cambridge wrote every day Kozloski’s ship was in the harbor, he was at softball practice hitting balls, throwing batting practice or helping prepare the field for games. Describing him as selfless and kind with a warm demeanor, Campbell Cambridge wrote Kozloski was a devoted father and husband. The tragedy has brought out amazing love, support and generosity, Campbell Cambridge said. Congressman Sean Patrick Maloney, who represents all of Putnam County, honored Kozloski from the House of Representatives chamber floor last week, stating he dedicated his entire adult life to protecting the country as a member of the Coast Guard. Maloney spoke with his wife, Brie, who told him that the Homer community has rallied behind her during this tragedy. Many family members have flown into Alaska to also help her, Maloney added. “We all owe Mike and his entire family an enormous amount of debt and gratitude for his service and for making the ultimate sacrifice in defense of our country,” Maloney said. An investigation is still underway to determine how the crane accident occurred, Maloney said, which he pledged to monitor closely. A copy of the Congressional Record, including the speech, will be sent to the Kozloski family.